I'm n̶o̶t̶ expecting to grow flowers in a desert, but I can live and breathe and see the sun in wintertime. 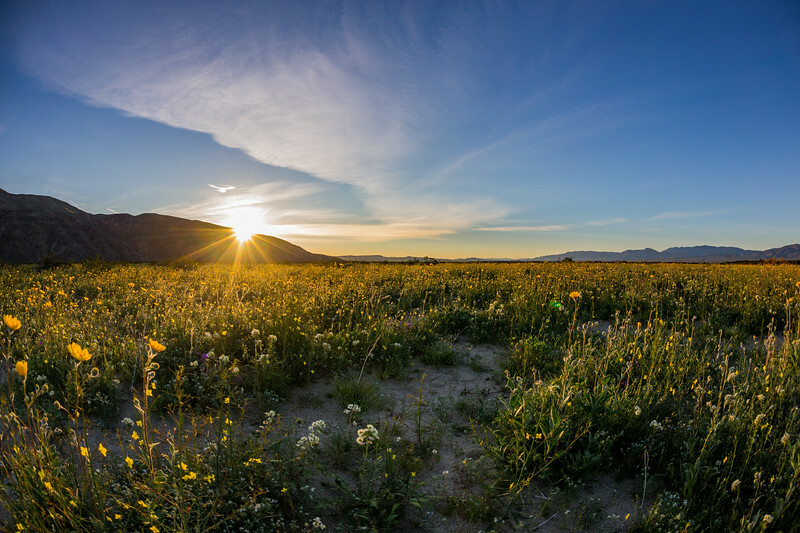 At sunrise the wildflowers in the Anza-Borrego Desert explode with intense colors. A field of yellow wildflowers seen along Henderson Canyon Road in Borrego Springs, California. These are Desert Sunflower (Geraea canescens). The 2017 super bloom is in full effect in Anza-Borrego. The record rains in California - after many years of severe drought - have produced some epic blooms out here.